We all know the basic rule of brainstorming: there are no bad ideas. Encourage original thinking. The best way of doing this is to have a brainstorming kit. 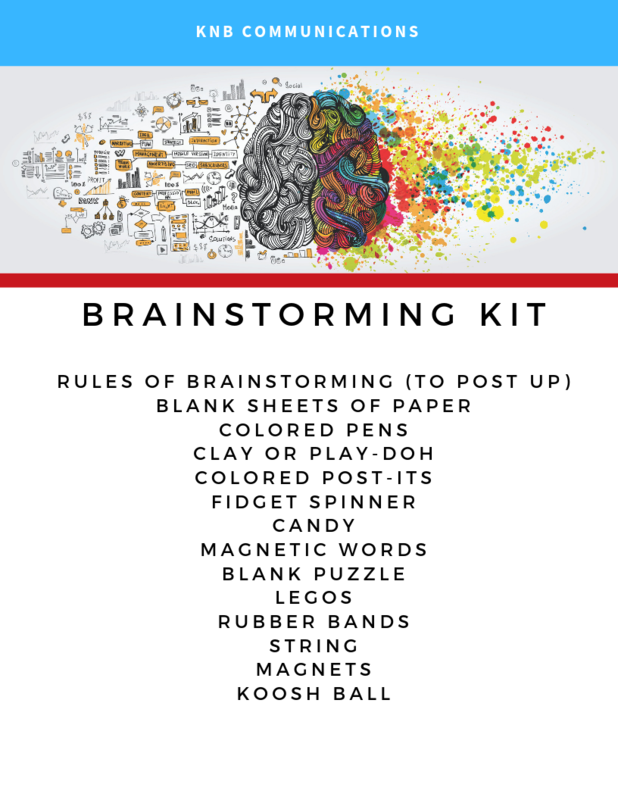 Our brainstorming kit works by occupying hands and increasing focus. When people can “turn off” their brain by fidgeting with primarily tactile objects, they are able to tap into higher cognitive functioning. Bottom line: having a brainstorming kit for your healthcare marketing and PR idea sessions will produce more creative ideas.